A Paralegal Officer is a person who is hired to assist lawyers and help them with their research and trials' preparation. A Paralegal Officer has to do a lot of research, documentation, and papers for meetings, trials, hearings, closings or anything else that the attorney asks for. Paralegal Officers need a solid understanding of the law, court procedures, and jurisdictions, judicial decisions as well as legal terminology in general. Good communicational skills, both verbal and written, are a must. Organizational skills, attention to details and ability to work under pressure are also needed. This course is suitable, but not limited, to law students and prospective paralegals. Know what a paralegal does. Appreciate the required attributes of a good paralegal. 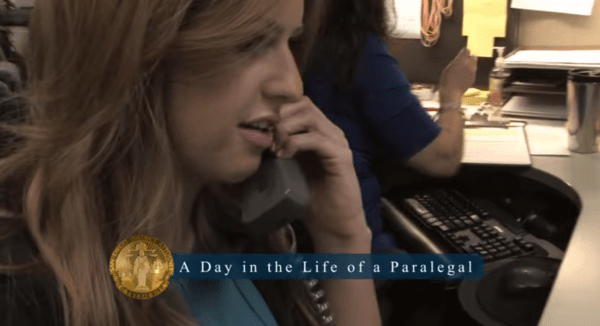 What Does A Paralegal Do Every day? just perfect for me, I love this! I LOVE THIS COURSE WITH MY FORENSIC TECHNIQUES I WILL BE OF GREAT USE.